Earlier this week, AC Milan forward Patrick Cutrone revealed that Chelsea and Spain ace Alvaro Morata is his idol. The 20-year-old hasn’t made a bad start to life with the senior Milan side, scoring 18 goals in 46 appearances last season, while he’s got six in 15 outings so far this year. In turn, the Rossoneri appear to have a real talent on their hands, and given his young age and the new generation of players, Cutrone revealed recently that he sees Morata as his idol having perhaps watched him at Real Madrid and Juventus on his way up through the Milan ranks. 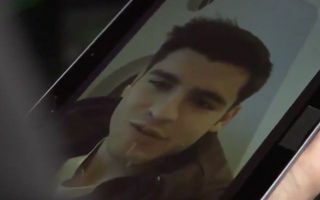 The Chelsea striker heard about it and as seen in the video below, he sent a message to Cutrone which was relayed onto the Milan youngster by DAZN. It’s a nice touch from Morata to send encouragement and support to him, while evidently it was met with real gratitude on Cutrone’s part as he appreciated the kind words and will hope to continue to emerge as one of the top young talents in Europe moving forward. Having Gonzalo Higuain to learn from in training and on the pitch can’t be too bad either, but Morata’s classy message and gesture will surely go a long way in building his confidence too.